You’re Invited to the #PGHCrossingGuards Twitter Party! Home > Blog > You’re Invited to the #PGHCrossingGuards Twitter Party! 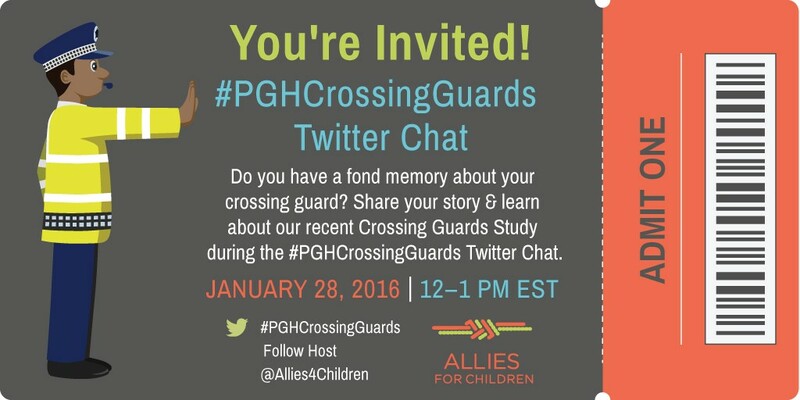 You’re invited to the #PGHCrossingGuards Twitter Party! This Thursday, join Allies for Children and our partners to share a fond memory about your crossing guard and learn about our recent study. 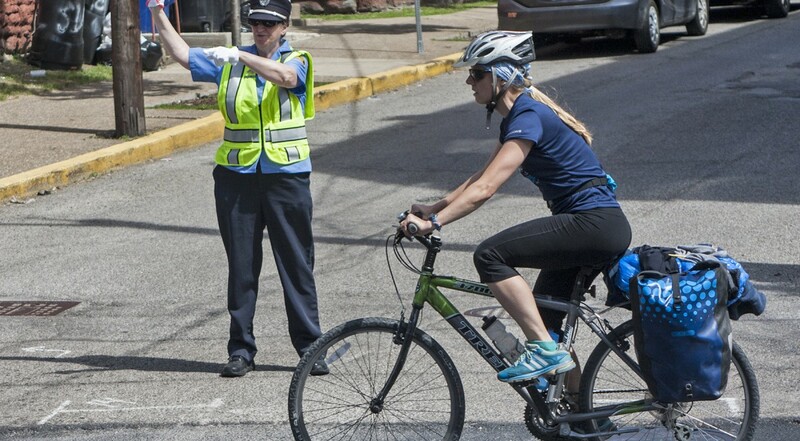 The study examined how crossing guards, who are often the first uniformed individuals young people encounter, can serve multiple roles with a primary emphasis on safety and mentoring. This research was given to the City of Pittsburgh and Mayor William Peduto, who quickly established working groups to begin implementing the recommendations developed through the research. If you already have a Twitter account but you never participated in a Twitter Party, watch our tutorial to find out how to join our online conversation. It’s pretty simple! Party participants will “meet up” on Twitter and tweet using the event hashtag, which is #PGHCrossingGuards. Allies for Children’s motto is Stronger Voices Together. Therefore, we know that we can be a bold voice for policy and practices changes that improve the lives children and youth throughout Allegheny County if we join forces with others. We’re most appreciative of our partners in this campaign, and recommend that you follow them online–not just for this conversation but for months, even years, to come. During the chat, share your fond memories about your crossing guards. We’ll shine the spotlight on the men and women making a difference in the lives of children and youth across the City of Pittsburgh. We know crossing guards do more than help kids cross the street. 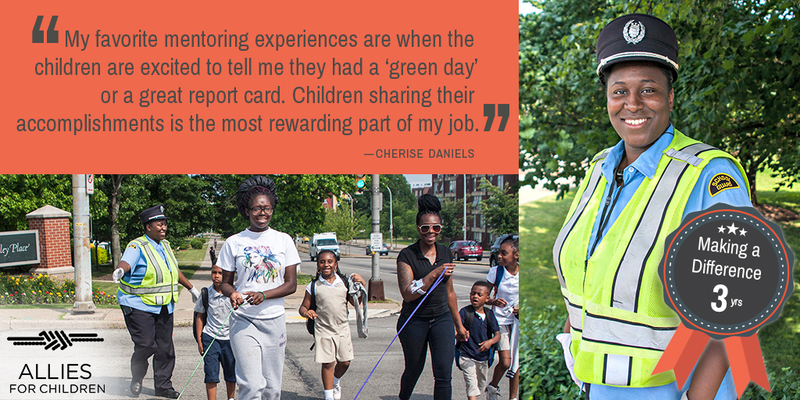 They often serve as mentors, like Cherise Daniels. Looking forward to see you online this Thursday! After the chat, you’ll log off your computer or cell phone more aware of the important work being performed by crossing guards and the work being done to make what they do even more impactful in our communities.